SYDNEY, AUSTRALIA--(Marketwired - Jun 18, 2015) - Evan Balafas and Excite Digital Media are proud to announce a new product range that will revolutionize how advertisers in Australia and other global markets deliver ads to potential customers, based on non-standard search traffic. The latest portfolio involves three trailblazing products: display advertising, called Excite DNA, video advertising, and mobile re-targeted advertising. EDM's display search re-targeting products are based on Excite DNA, which assumes the role of a "building block" and is designed to work in tandem with the search engine. The result is keyword-rich first-party data that is a combinative effort of the company's search engines. According to Balafas, that kind of data is not available through any other online resource, including market leaders such as Google or Bing. The data in question includes IP addresses and keyword searches that are categorized into keyword directories and then re-targeted by using a DSP. Excite Digital Media's video advertising products work similarly: Like EDM's display advertising products, they service clients by collecting data from its search engines. Advertisers can use the collected data to re-target any video campaign on YouTube through a DSP. "Our video and our direct display advertising products work well together," explains Balafas. "It is a true boom for advertisers who prefer search intent content that complements trending video or display ad campaigns." The declared goal of Excite Digital Media is to "deliver innovative online search, display and video solutions by serving the most relevant ads," all sourced from direct advertisers (source: http://excitedigitalmedia.com/). As Balafas puts it, "Excite Digital Media aims to provide strategic solutions that work across the globe by balancing user experience and monetization." This is achieved through technologies such as traffic management solutions and geo targeting features. Through these fields, global publishers become capable of creating feeds in any market, while safeguards like Click fraud protection monitor the quality of the traffic. The data, when implanted onto DSP platforms results in a captive audience in particular verticals that exhibit the popularity of certain products. In other words, EDM targets users who are already looking for said products. Evan Balafas is the CEO and co-founder of global display advertising and SEM company Excite Digital Media. EDM was launched with Balafas's vision that no goal is too ambitious. 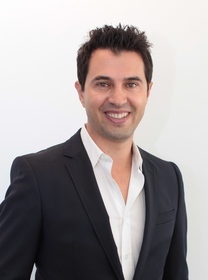 Hailed as an industry expert in search engine marketing, Balafas's efforts resulted in EDM being dubbed as "Australia's Fastest Growing Companies" on Bloomberg.com (source: http://www.evanbalafasnews.com/). The company makes brand integrity a possibility for advertisers through a range of best practice approaches, including quality scoring, site testing, and domain monitoring. As a result, the network consists of renowned publishers who cover all major markets in North America, Europe, Australasia, and South America.